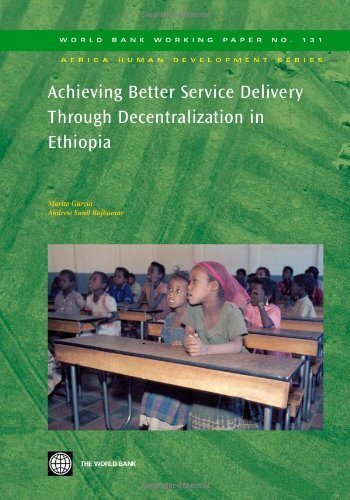 This study focuses on Ethiopia's attempt at introducing soilconservation and afforestation innovations aimed at reversing theprocess of degradation of its agricultural resource-base. It considersthe tenure ambiguity, uncertainty, and insecurity stemming from thestate ownership of land under which these innovations wereattempted. 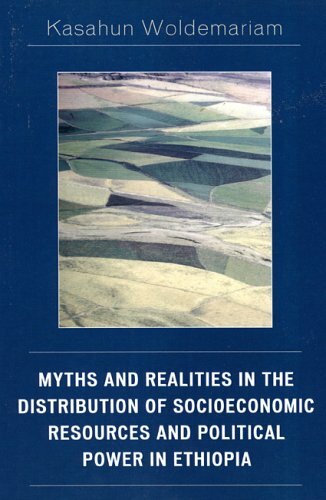 It tells the story of how rural people responded to theproject-induced adoption of measures to protect the land even thoughtheir holdings remained under a constant threat of reallocation. Thisstory concerns issues arising from over-population, revolution,agrarian reform, population relocation, land reallocations,internationally financed projects, and not least, civil war. 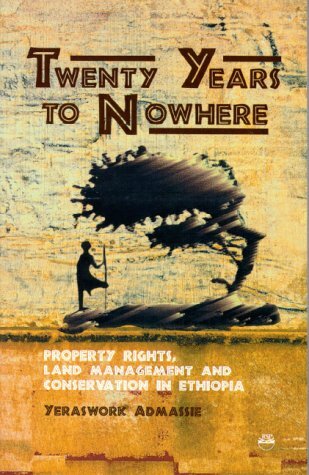 Questions of soil conservation and afforestation, and land tenure areissues of fundamental importance to the millions of rural families inEthiopia. In fact, in the long-run, they may be more may be asimportant to the people of several Sahelian and Sub-Saharan Africannations that have opted for state ownership of land. The study dealswith the variety of ways in which institutional arrangements such asproperty rights regimes directly and indirectly influence the outcomeof attempts at externally inducing innovations, and contribute indefeating the intentions of planners as well as their newstrategies. In this study, I take exception to a good part of what thesoil conservation and afforestation program in Ethiopia has done; but,in no way do I wish to question the personal motives of theoverwhelming majority of the people that worked for it. 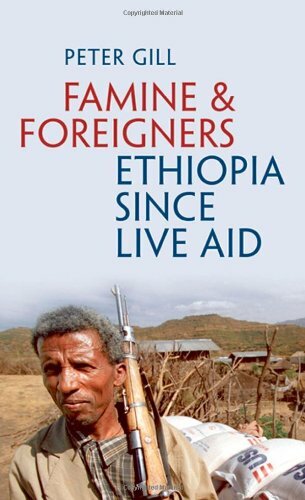 Now, in Famine and Foreigners, Gill returns to Ethiopia to piece together the real story of the last 25 years, drawing on interviews with leading Ethiopians and with an army of foreign aid officials. He conducted extensive interviews with Prime Minister Meles Zenawi and the leading development economists, Joseph E. Stiglitz and Jeffrey Sachs. Most important of all, Gill has traveled throughout the country and interviewed scores of Ethiopia's dignified but still hungry farmers. 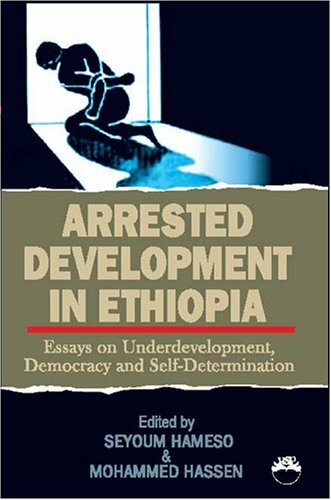 What stands out in these pages are the graphic encounters with these Ethiopians--the supposed beneficiaries of western aid--who still struggle on the knife-edge of existence. What also emerges is the often tense relationship between official aid-givers and recipients--whether in the area of economic reform or the modern demands for "governance" and political change. Twenty five years on, we can say that we did feed the world.But did we change the face of poverty, did we close the gap between rich and poor, did we fulfill the promise of "development?" The United States and its Western allies donate mil­lions of dollars in emergency aid to alleviate the effects of the Ethiopian famine. Despite this aid, the Marxist regime in Ethiopia continues resolutely hos­tile to the United States and a firm friend to the Soviet Union whose emergency aid has been minimal. Moreover, the regime is pressing ahead vigorously with its socialist programs of population resettlement, agricultural collectivization, and state control of the economy, even though these pro­grams may aggravate the effects of the famine. 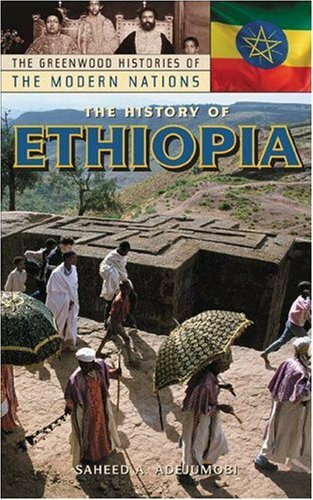 This important book, based on extensive first hand knowledge, traces events in Ethiopia over the last decade or so and offers much new information. 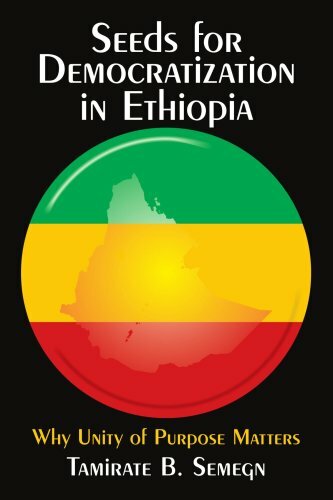 Korn shows how Ethiopia switched from being an ally of the United States to an ally of the Soviet Union and how various efforts by the United States to regain Ethiopia’s friendship have failed. He dis­cusses the coming to power of Colonel Mengistu, his ruthless methods, and his utter commitment to Marxism-Leninism. 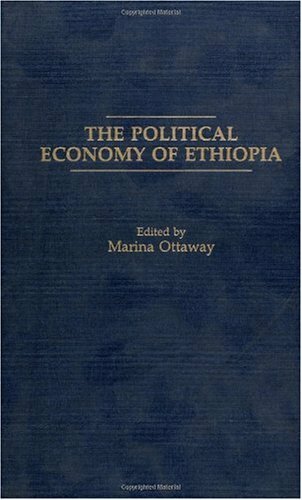 Korn explores the effects of Marxist rule and the famine on the Ethiopian people. 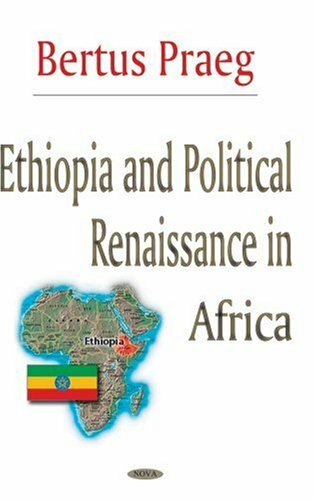 He looks at the civil war in Eritrea and Tigray and at other threats to the regime from both inside and outside the country and explores how the situation is likely to develop in the immediate future. How do communities grapple with the challenges of reconstruction after conflicts? 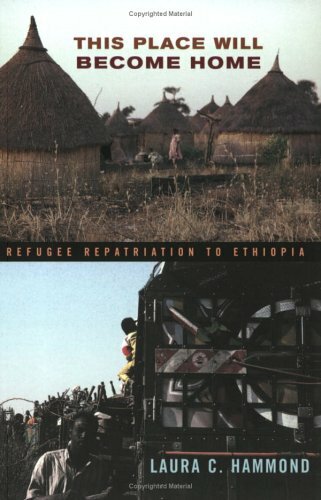 In one of the first in-depth ethnographic accounts of refugee repatriation anywhere in the world, Laura C. Hammond follows the story of Ada Bai, a returnee settlement with a population of some 7,500 people. In the days when refugees first arrived, Ada Bai was an empty field along Ethiopia’s northwest border, but it is now a viable—arguably thriving—community. For the former refugees who fled from northern Ethiopia to eastern Sudan to escape war and famine in 1984 and returned to their country of birth in 1993, "coming home" really meant creating a new home out of an empty space. Settling in a new area, establishing social and kin ties, and inventing social practices, returnees gradually invested their environment with meaning and began to consider their settlement home. Hammond outlines the roles that gender and generational differences played in this process and how the residents came to define the symbolic and geographical boundaries of Ada Bai. Established around 1830, the Kingdom of Jimma Abba Jifar was the largest and most powerful of the five monarchies formed by the Oromo in the Gibe region of southwestern Ethiopia. 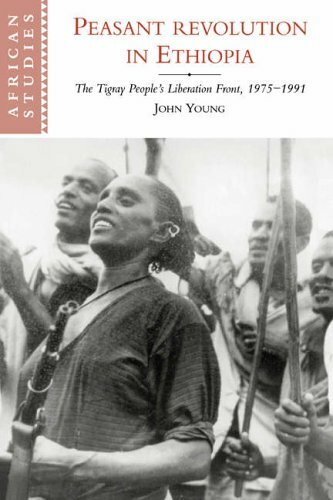 Although the Oromo are known for their democratic ("republican") gada system, Jimma and other Gibe states arose through a series of processes and historical events in the 19th century that propelled certain men into positions of supreme power.Based on intensive fieldwork in Jimma, this book presents a study of the history and organization of Jimma under its most powerful ruler, Abba Jifar II (1878-1932). 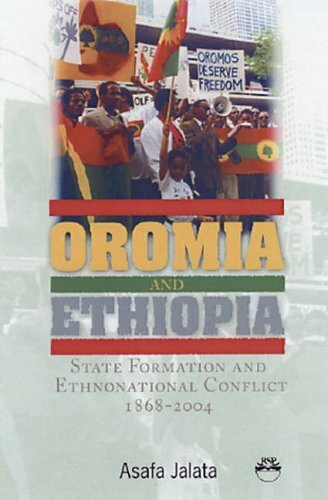 Lewis stresses the dynamic aspects of politics and places the politicial history and structure of Jimma in perspective by noting its similarities and differences to monarchial systems in other parts of Africa and the rest of the world.He also explores those distinctive aspects of the Oromo culture which gave Jimma Abba Jifar its particular political style and includes an ethnographic study of an Oromo Muslim agricultural community.